There’s no argument when we say that the Nissan Juke is a statement car. The original Nissan Juke 4x4 began its life as an innovative new design that would breathe new life into smaller cars. Since its launch, when it was touted as a “jacked-up small car”, things have come a long way for the crossover SUV market. What year did the Nissan Juke come out? The first Juke hit the roads back in 2011. This first generation Juke then endured the next six years without significant change to the design. However, that’s not to say that other car manufacturers hadn’t been watching. The Audi Q2, Renault Captur and even the Peugeot 2008 can now all call themselves rivals, placing the burden on Nissan to innovate for today. Is there a 2018 Nissan Juke? Rumours of a second-generation Juke SUV 2019 are just around the corner, but for 2018, the first generation had three basic trims. The Visia and the Acenta were the main trims, while the Bose Personal Edition bumped up the latter with some extra gadgets and gizmos. What’s the difference between Nissan Juke Visia and Acenta? 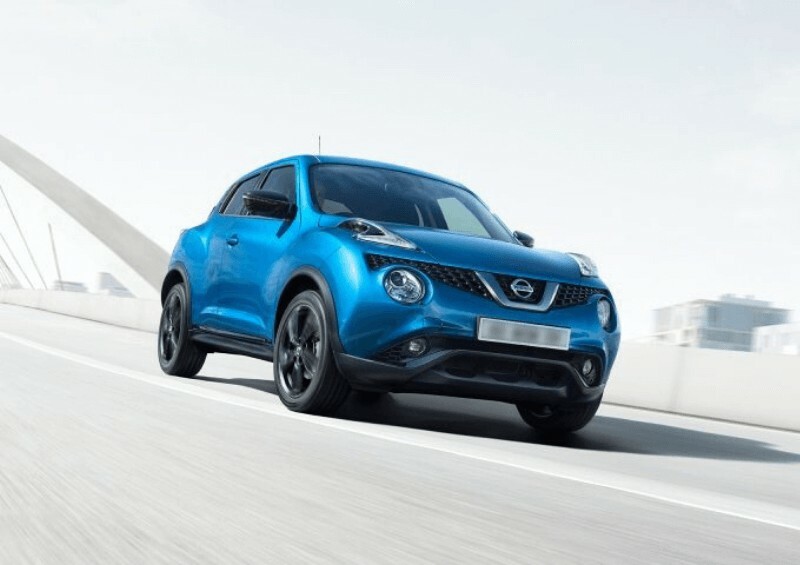 While the Juke isn’t Nissan’s best-selling car overall, (in fact, the Nissan Qashqai came in fourth for best-selling car across Britain in 2019) it is a very successful candidate for the brand’s small crossover offerings. Is the Nissan Juke a 4-door car? 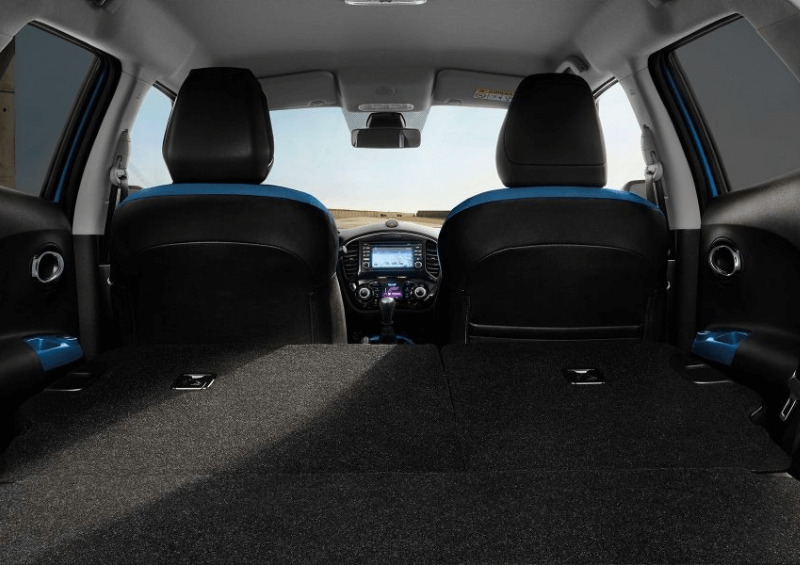 Perhaps one of the biggest deterrents for small cars is the tedious folding back of seats and climbing into the back. Thankfully, this is not the case for the Nissan Juke, despite its size! Nissan Jukes are 5 door cars, with a handle cleverly concealed in the window on the rear doors. Is the Nissan Juke a reliable car? The Juke boasts a five-star Euro NCAP safety rating, making it the ideal car for small families. It also reports fewer problems than the average number for small crossovers, and also holds its value better. Is the Nissan Juke a four-wheel-drive? Four-wheel-drive is available in the higher spec versions of the Juke, while the entry-level models simply offer front-wheel. However, for its size, front-wheel-drive is perfectly acceptable. What is the road tax for a Nissan Juke? Is it included in a lease? Economical, reliable and stylish, the Nissan Juke also won’t see you parting with too much cash on the road tax front. For smaller models, such as the 1.5 Visia, motorists will only have to pay £20 per year. However, this does scale up to £155 depending on your choice of spec. 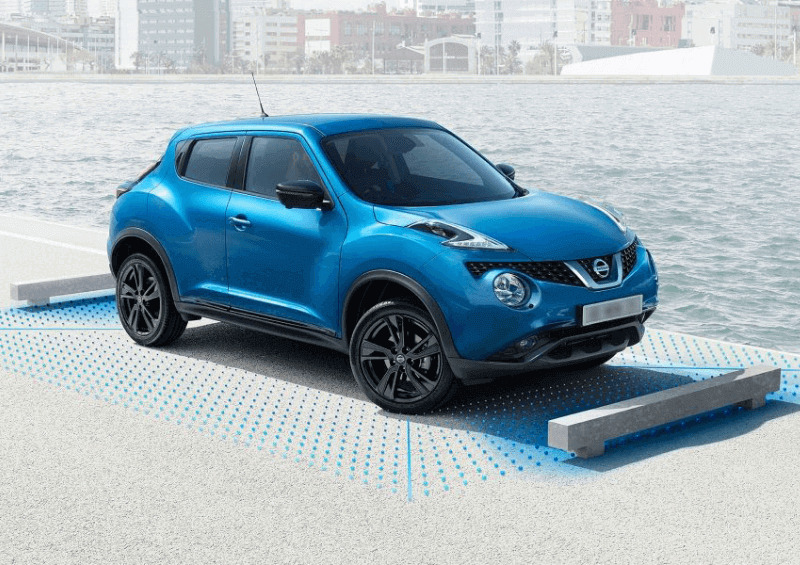 If you choose to lease a Nissan Juke, road tax is included in the cost, so this is something you won’t have to worry about anyway! With a wide variety of petrol engines, but only one diesel, motorists should base their buying decision on engine power. For example, some engines feel a little sluggish, such as the 1.5 litre diesel, whereas the 1.2 litre turbo petrol is far nippier. The driving position is a little compromised as the steering wheel cannot be pulled out, while the visibility is somewhat hampered by small windows and a shallow rear screen. However, if you make the worthwhile upgrade to the Acenta, the infotainment is quite sufficient, with a 5.8-inch touchscreen media system, including a sat nav, Bluetooth, and USB connectivity. Is there a new Nissan Juke coming out? 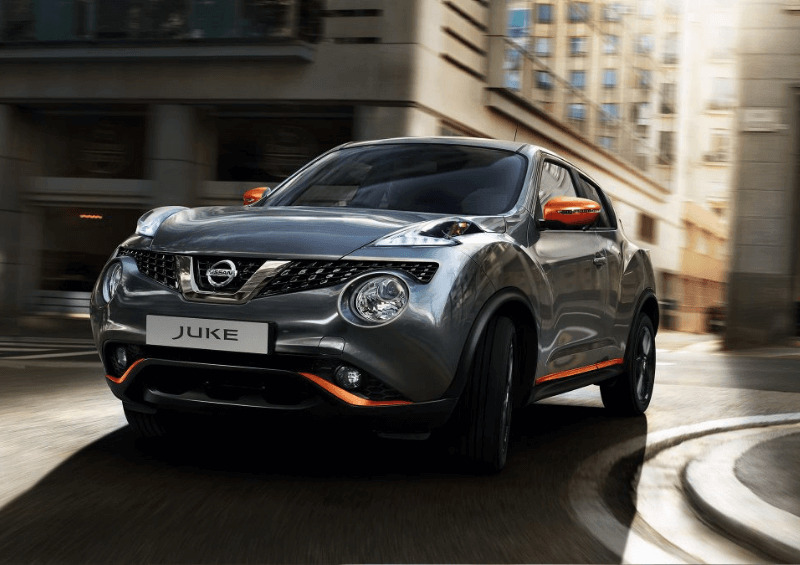 Nissan Europe promised us last year that we will “hear all about the new Juke” in 2019. There is already talk of a Nissan Juke finance deal with the site’s digital calculator, though a Nissan Juke lease may be more affordable and appealing to some. We already know there’s a new design format coming, which you may recognise from the Renault Clio – the CMF-B architecture. Ideally, we’d also like to see some updates to the interior design, with more innovation on the infotainment front and a potential foray into electric fuel. Rumour has it the latter may be a possibility, so we’ll watch this space. We’re pretty sure the next generation Nissan Juke won’t disappoint in these areas! 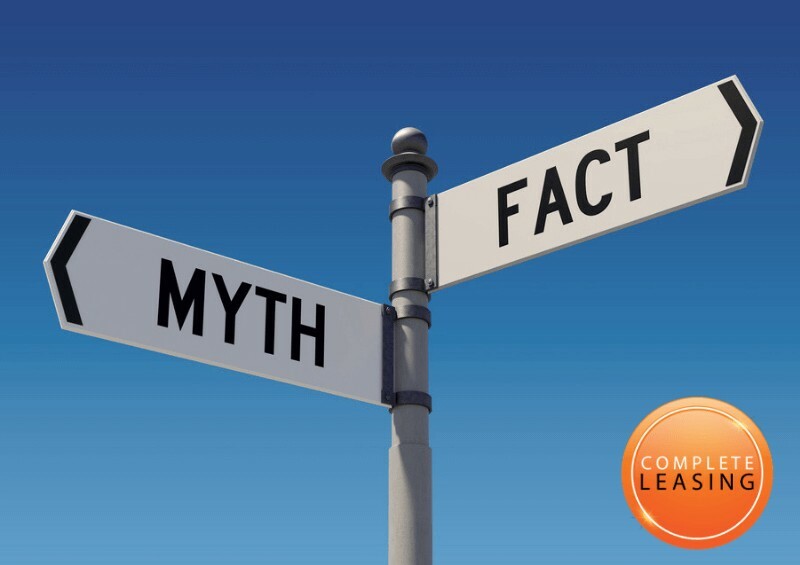 If you’re thinking of leasing the Nissan Juke, why not contact us today at Complete Leasing? We have both personal and business leasing deals available, and we can find the best deal suited to your needs and budget. If you’d like to know more about our leasing deals, or if you have any questions about car leasing, don’t hesitate to get in touch with us obligation-free today! You can use the phone number below, or find us on Facebook or Instagram and send us a message – our experienced representatives will reply as soon as possible.